Posted on September 10, 2017 by Elina T.
*Contains spoilers for anyone who has not read the entire Harry Potter series! 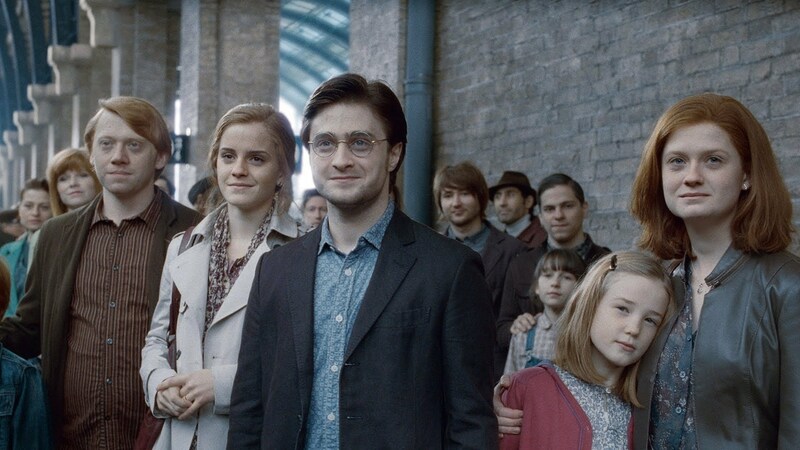 In the epilogue of Harry Potter and the Deathly Hallows (the final installment of the series), Harry, Ginny, Ron, and Hermione are shown seeing their children off to Hogwarts School of Witchcraft and Wizardry nineteen years after the Battle of Hogwarts. James and Albus Potter and Rose Granger-Weasley board the Hogwarts Express while Lily Potter and Hugo Granger-Weasley watch wistfully alongside their parents on platform nine and three-quarters as they are still too young to attend Hogwarts. The Battle of Hogwarts occurred in 1998, which means nineteen years later would be 2017! This year, a new generation of witches and wizards will attend Hogwarts and have and create spectacular memories of their own. This is also the year in which Harry Potter and the Cursed Child takes place! It’s extremely difficult to believe that this year marks the end of the Harry Potter series –this year Harry would’ve turned 37! Coincidentally, this year also marks the twentieth anniversary of the publication of Harry Potter and the Sorcerer’s (or Philosopher’s) Stone. September the first was a momentous day for Harry Potter fans all around the world. This was the exact day on which the Hogwarts Express would leave platform nine and three-quarters at King’s Cross. Loads of die-hard fans poured into King’s Cross station in London, England so that they could be present at eleven o’clock — when the Hogwarts Express would leave and Harry and his friends would be seeing their children off. I have always been a huge fan of Harry Potter, and, in a way, I feel as if this year sort of brought a closure to the Harry Potter series for me. But I will still love it and read it and re-read it — always. J. K. Rowling’s Harry Potter series is available for checkout from the Mission Viejo Library and online from Overdrive. This entry was posted in Book Reviews, Essays and tagged fantasy, harry potter, Harry Potter and the Deathly Hallows, j.k. rowling, Nineteen Years Later by Elina T.. Bookmark the permalink.